Late Spring is quietly, meditatively beautiful. The film is the story of two people who, despite loving each other very much and not wanting to part, wrench themselves away from each other, each convinced that they’re doing what is right for the other person; for one of them, this may be true. The plot is inherently poignant, a nuanced, small-scale domestic tragedy, but it’s all the better for being specifically about the relationship between a father and his daughter. That relationship–seldom explored in movies–adds a natural, inevitable feel to Yasujiro Ozu’s study of love and duty. Parents are called upon to let their children go out into the world: to raise a daughter meant, for a long time, accepting that if all went well, you would lose her. And in this time and place, this segment of middle-class postwar Japan, there is a clock ticking in the background. Noriko is twenty-seven. Her innocence and shyness make her seem younger, but in terms of making a marriage, practically put, she’s running out of time. She doesn’t feel that, but, once awakened to it, her father, Shikuchi, does. He hopes at first that something will blossom–or has already blossomed–between Noriko and Hattori, his assistant, which could make for appealingly little change… but Hattori is already engaged. Shikuchi’s ignorance of this is an elegantly, unobtrusively handled bit of backstory. 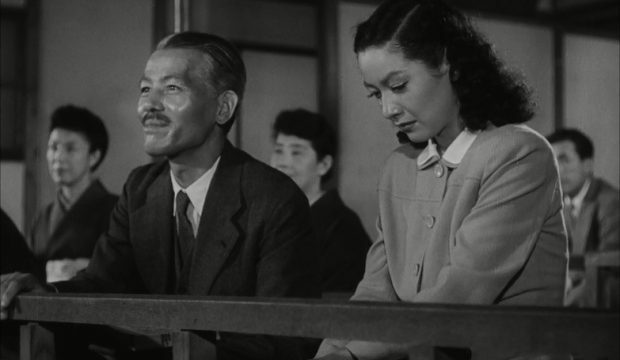 Ozu has already provided the audience, easily brought to looking for romance in any on-screen interactions between young and attractive men and women, with an exuberant scene of Noriko and Hattori on a bicycle ride together. Shikuchi, suddenly looking on his life with goggles that highlight every marital possibility for his daughter, “sees” this almost as the audience does. Aha! A possibility! This would solve everything! 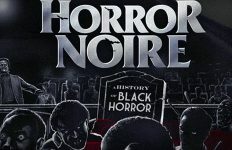 But it’s not to be, and the conversation where Noriko, laughing, quashes Shikuchi’s hopes of such a marriage is an underemphasized turning point in the film. There are no more easy solutions, and also Shikuchi has to feel even more definitively that this business of marriage has marched on without him. Eligibility is a mystery to him. Possibilities have vanished and cannot be retrieved. And there’s an implied solution there, as well. A man who is getting married is a man who does not need the attention of another woman–neither those of a second prospective lover nor those of a daughter. All of this works up to an apple peel falling to the floor. Separation between fruit and peel has been effected, and as for the peel… well, to quote another Ozu film, “the days will get very long.” That’s pathos enough, but it’s hard, too, to not know whether the days will be any shorter anywhere else. It’s impossible to say, in Ozu’s delicately constructed world, whether individual inclination or fulfilled duty is more likely to lead to happiness. But this is a structurally conservative film, and individual happiness seems beside the point. Shikuchi and Noriko are specific people who must nonetheless play archetypal roles simply because that is what order requires, and since that order wasn’t made in ignorance of love or obligation, since it has been honed by centuries of fellow fathers and daughters, well, who are they to argue with it? It only remains to face their required tragedies with dignity and faith that all this will mean something.